How can you save on your Baltimore cruise? 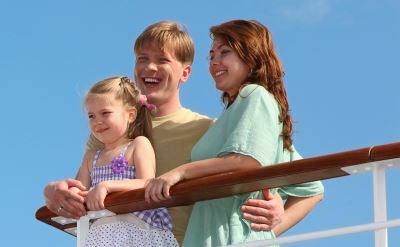 Check the weekly cruise discounts and follow our other steps to get the best price on your cruise. With just a little effort you could save money. Travel agents and online cruise reservation services always have current cheap cruises offer. Check two or three online sources for deals - you'll find that they're not all the same. The price of cruises is highly dependent on the time of year. Some of the cheapest times to depart are early December, January, and in the spring before school is out. If you're free to travel in those weeks, your fare will be lower than during the peak season. The most expensive times to depart are the summer months and holidays. There are a few tips for saving money on a cruise from Baltimore. The most important is to book early. You can usually find the best specials from 8 to 12 months before the cruise departs. You can also look for last minute cruise deals. The popularity of cruises have reduced the number of these specials because ships are selling out early. But if you want to leave soon, last minute deals are certainly worth a look. If you've sailed with a cruise line before, you can usually get an excellent deal as a returning passenger. Be sure to ask.